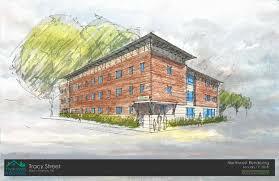 People tend to over-estimate how much electricity is put out by solar panels, so I was very dubious when I heard that a 29-unit apartment complex coming to West Lebanon would get all of its energy, including heating and cooling, strictly from panels on the building. There’s no chance that’s correct, I told myself, secure in my poorly informed certainty. Somebody misunderstood something, I said; I’ll double-check and set the record straight. Shows how much I know. “There are more and more people who realize this isn’t rocket science. 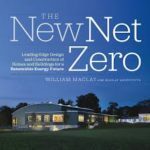 They have to change some practices,” said Bill McLay, an architect whose advocacy for energy savings includes his book, The New Net-Zero about design and construction methods for buildings that create as much energy as they use. Continue reading here. Solar Installers Should Bundle Panels With Heat Pumps, Study Says, Contributor, Forbes. 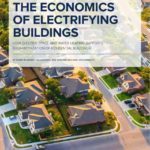 Solar installers could offer rooftop customers even more savings by bundling solar panels with heat pumps and other electric appliances, according to a recent study by the Rocky Mountain Institute. How to start a solar panel manufacturing facility in the United States, Solar Power World. U.S. demand is enough that companies are building new facilities exceeding what Suniva and SolarWorld (previously the country’s largest c-Si manufacturers) were producing at their peak. Tariffed or not, the United States needs more panels, and major global brands are ready to step in. Utilities are reluctant to invest in coal plants, even after Trump tries to save them, Washington Examiner. Many coal plants are too old to make upgrades worth investing in. Others have already done the efficiency work EPA outlines in its proposal, experts say. In addition, the rule won’t be implemented for years, and will be contested in court, meaning coal plants may die prematurely. A report analyzing the week of a heat wave in the Northeast estimates that solar power saved $30 million in wholesale electricity costs due to lowering demand at its peak during mid-day – including $6.7 million in savings on July 3rd. Connecticut public-private partnership deploys solar to underserved communities, Energy News Network. In Connecticut, a private solar company is working with the state’s green bank to help low-income homeowners save money on their energy bills. News Release: Salesforce Announces Largest Renewable Energy Agreement to Date, on Path to Achieving 100 Percent Renewable Energy. This week Salesforce has made two announcements that sees it leading the way on a clean agenda. The first was when Marc Benioff announced: “the ethical and humane use of technology, a strategic initiative at Salesforce.” It saw the creation of a new position at Salesforce that will oversee the issue. 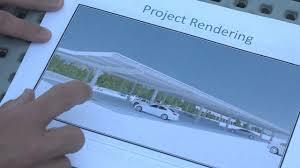 The second was an announcement that it has signed up its largest renewable energy deal as part of its goal to achieving 100% percent usage of green energy. The announcement comes just before the Global Climate Action Summit begins on September 12th in San Francisco. 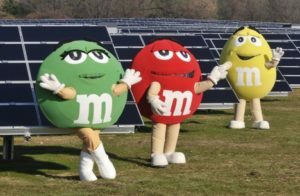 This entry was posted in NewsBlog and tagged corporate renewables procurement, Energy Storage News, global renewable energy development, Nebraskans for Solar NewsBlog, net-zero energy buildings, renewable energy development in the U.S. on September 4, 2018 by Helen Deffenbacher.